We would like to announce the news about 21st Nekki World Cup. This is the world cup time ! 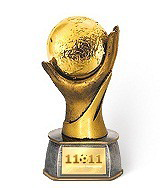 Start preparing your team and win the most prestigious cup of 11x11! We wish all of you good luck with World Cup!